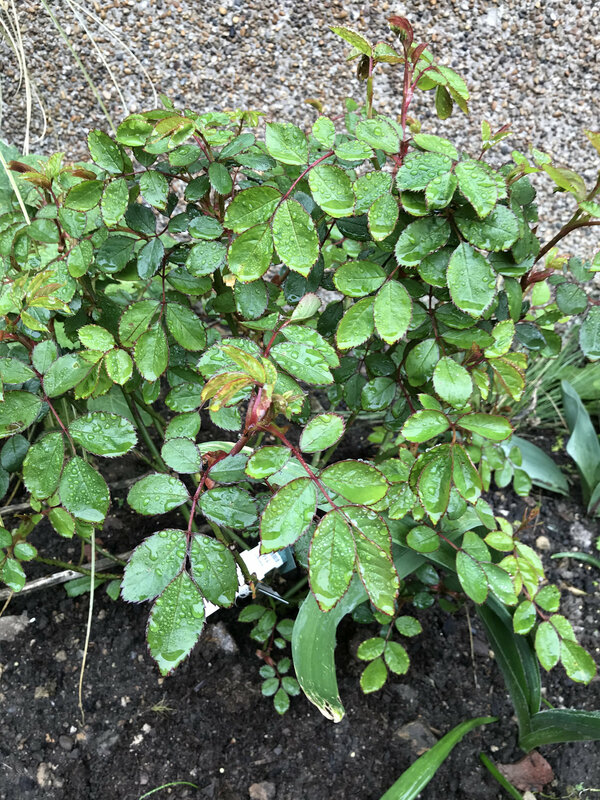 Please share your roses.. and they don't have to be only of blooms, but foliage, thorns, whole plant photos, how they fit into your landscape.. and don't forget those that displease you for whatever reason, we all can learn from this to make informed choices.. 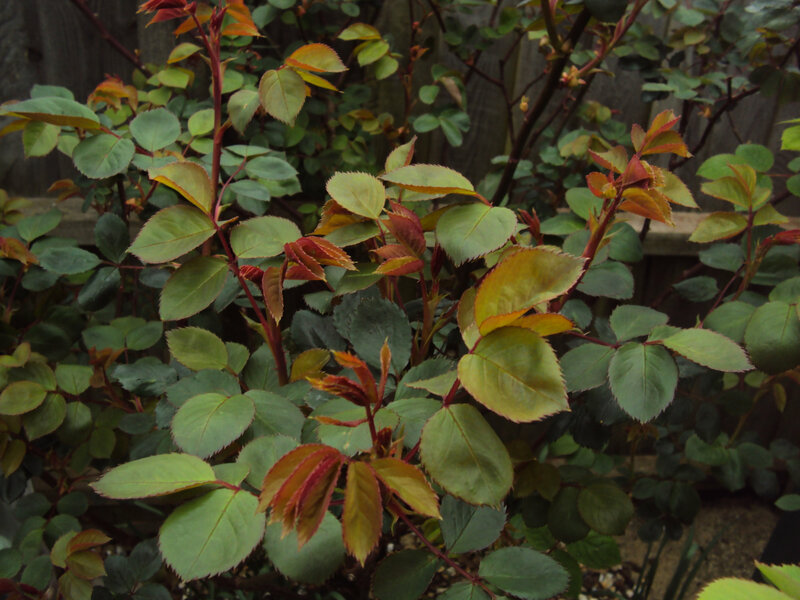 I won't bombard this community thread with my own roses, I shall start a separate one later, as I take so many photos that members will soon tire of seeing mine popping up every day... but I'll start off with one I'd like to highlight for its brilliant foliage right now.. Thanks Marlorena, that does look a very attractive rose. I've noticed today that three of mine look very healthy and a bit taller - the hedge behind was severely pruned last month so I think it gives them more light and possibly more rainfall. 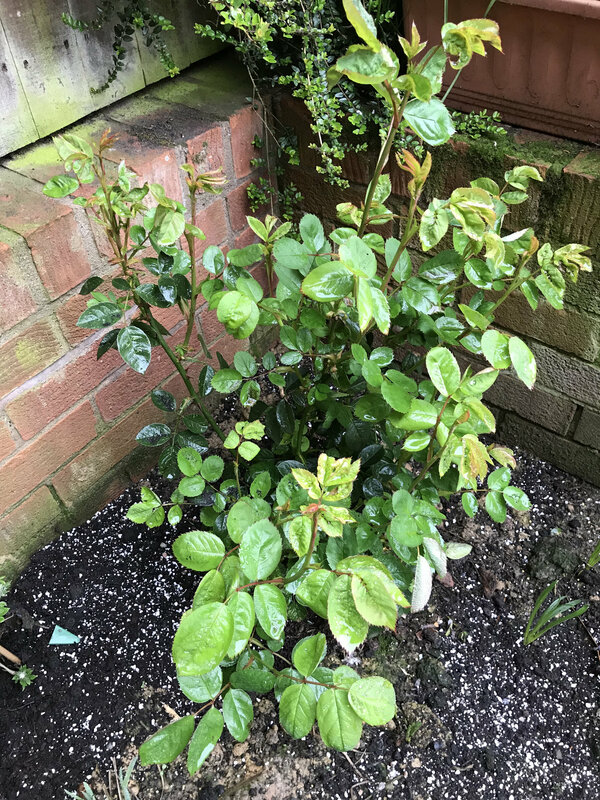 These are a few of my roses that have put on the most growth so far and the one that’s gonna flower first!! My other roses arnt as big as these but none have been planted even a year yet!!! 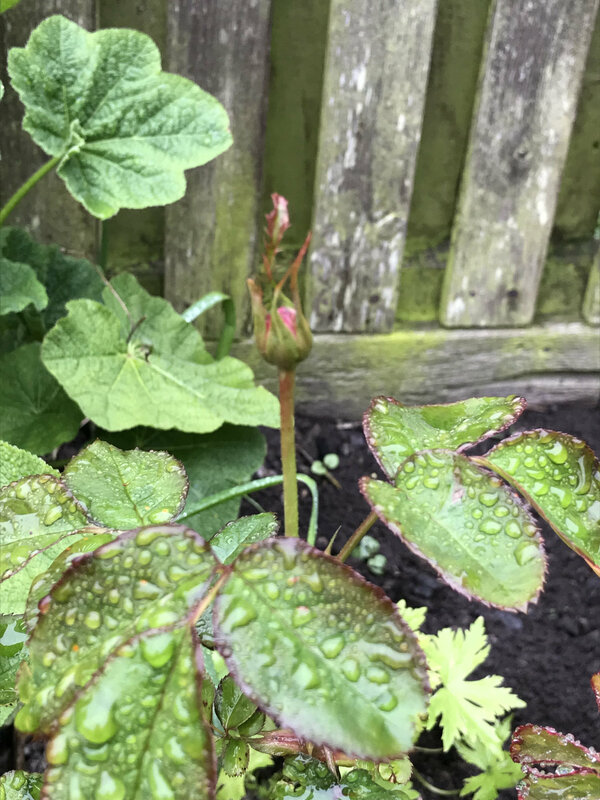 first 2 pictures are of my darcey bussell rose which has a flower bud much further than any others! 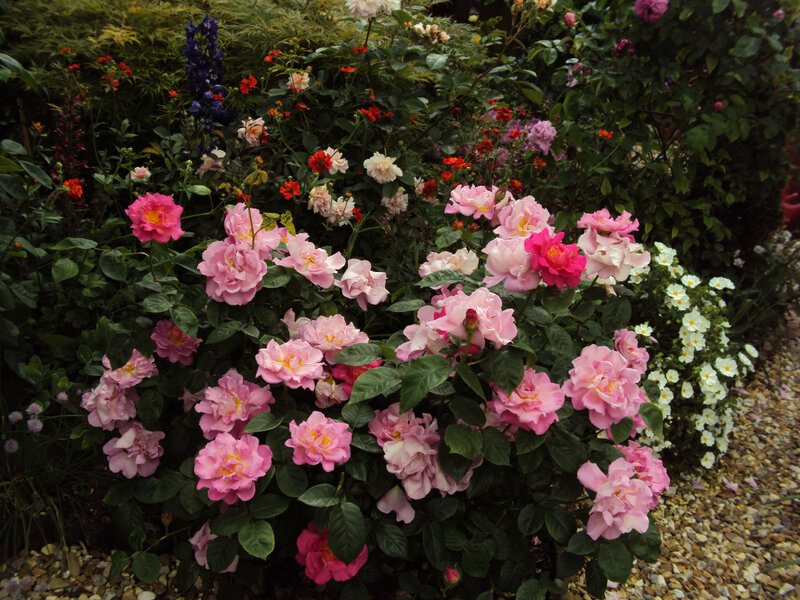 3rd pic is of my Vanessa bell rose! 4th is of the Alnwick rose! All still young so will look much better in a couples years time. Those are looking great Daniel, thanks for posting... I think they will look rather good this year... so looking forward to seeing more of these.. I'm loving 'Vanessa Bell', mine is in its 2nd year and is 4 foot tall, I think it might grow as a short climber..
@Lizzie27 look forward to some pictures later on... glad you got the hedge done.. 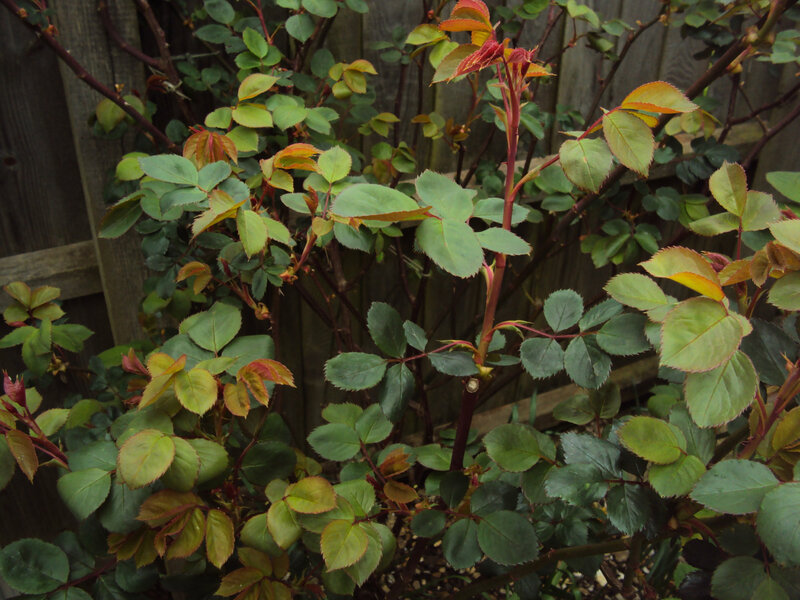 However, one of mine, the one top left in this picture, has rose replant sickness and is behind the other two... I hoped it would recover this year, but I'm not seeing that yet.. it was treated with mycorrhizal fungi at planting, which goes to show that stuff is more hype than substance..
Oh yes that perfect for me haha. I feel quite special now ! 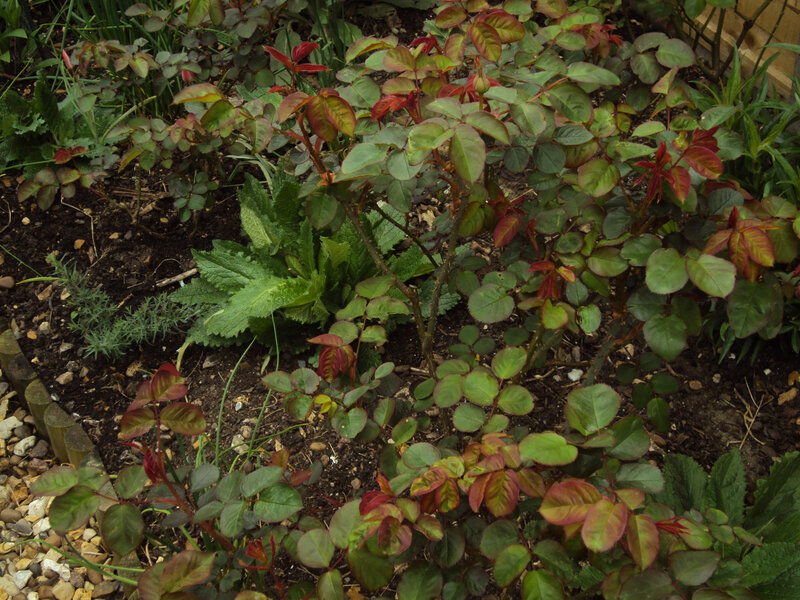 Small buds on Harlow Carr and Gertrude Jekyll. 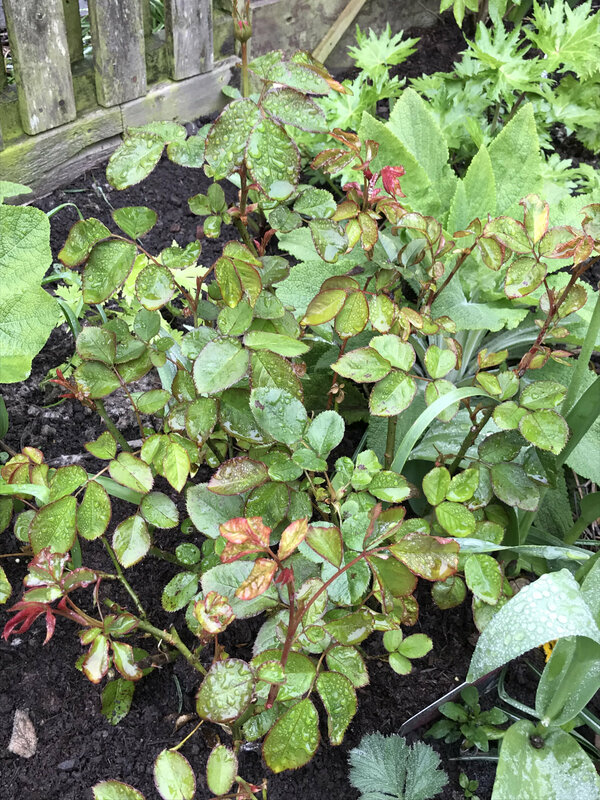 Lady Emma and Kew Gardens, having burst into bloom early are now sulking and not producing any more at the moment..
No sign of my Darcey Bussell, Daniel, yours is looking very advanced! I think I'm another week or 10 days away from my first flowers, which will be very early for me in any case.. 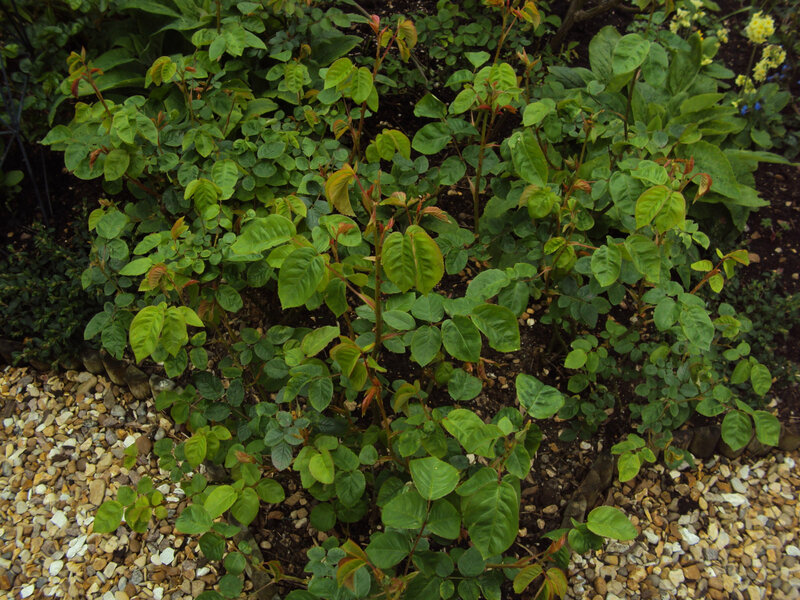 This is one of my favourite Austins.. 'The Herbalist'... named because it resembles a very old rose called Rosa gallica 'Officinalis' a.k.a the Apothecaries rose [medicinal].. if anyone lives in London, the Chelsea Physic Garden was started by apothecaries.. This is a modern reproduction and I think much better to grow... I have it in a group of 3, triangle fashion, which produces a better result..
Thats very pretty, @Marlorena, interesting the variation from bright pink to blush. I have three groups of threes - LD Braithwaite (two recently added as one was not enough! ), Lady Em and Absolutely Fabulous. 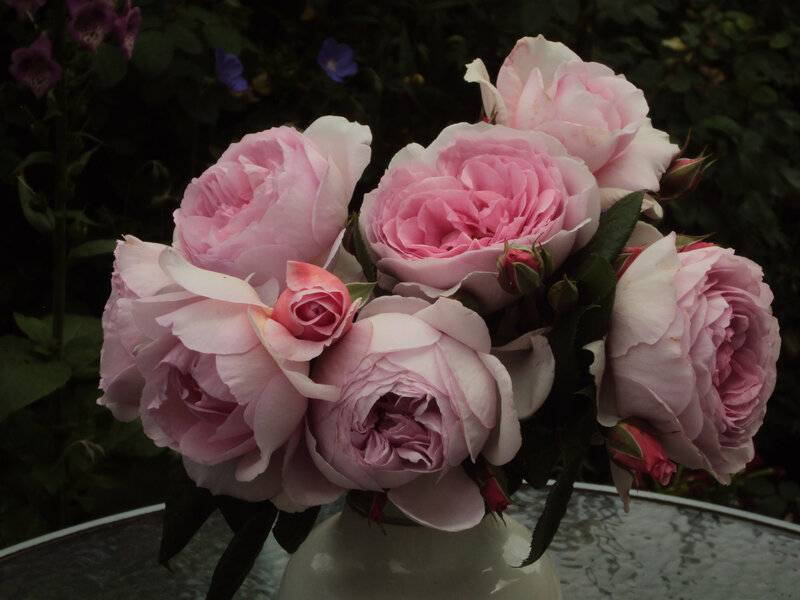 Planting in groups of five or seven for the brochures is a bit of a cheat, although David Austin does recommend planting shrub roses in threes, it does indeed make it expensive! ..thanks Nollie.. 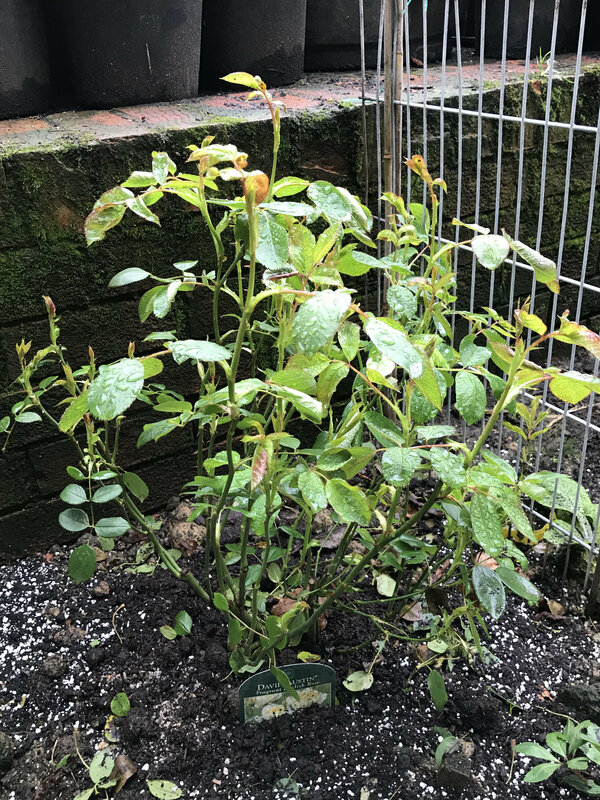 I'm glad you liked it... cynically I might say that they suggest to plant in groups, as better to sell us 3 than just 1.. but in practice, it does actually work for smaller roses..